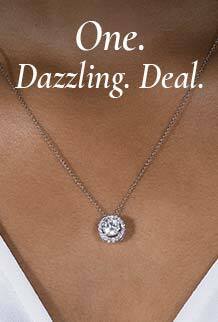 Research Triangle Park, North Carolina, (October 25, 2018) — Charles & Colvard, Ltd. (Nasdaq: CTHR), the original and leading worldwide source of created moissanite, today announced a new strategic retail partnership with Macy’s to provide customers with a curated collection of Charles & Colvard lab-created moissanite jewelry. “Our partnership also confirms the rapidly-growing interest in lab-created gemstone jewelry. Savvy retailers are responding to the strong interest in ethically sourced products by consumers, especially millennials1,” Ms. Miglucci concluded. The customer assortment of Charles & Colvard engagement and fashion rings, necklaces and earrings in 14k white, yellow and rose gold is now available at https://www.macys.com/shop/featured/charles-colvard. Charles & Colvard premium, lab-created moissanite is both an environmentally and socially responsible choice that is setting new standards in the fine jewelry industry. Its eco-friendly roots offer an alternative to mined gemstones and its physical and optical properties outshine all natural and lab-created gemstones, while also delivering excellent ratings on the toughness and hardness scales. Moissanite boasts incredible value as it retails at a fraction of the price of a mined diamond. These attributes and countless customer recommendations and reviews make moissanite a distinctive choice among colorless stones. 1In a 2017 survey of 1,000 millennials conducted by The Shelton Group, 70% of respondents noted a company’s environmental focus impacts their purchasing decisions and 43% said they could name a brand they trust when it comes to their environmental and social business practices. All forward-looking statements are subject to the risks and uncertainties inherent in predicting the future. You should be aware that although the forward-looking statements included herein represent management’s current judgment and expectations, our actual results may differ materially from those projected, stated, or implied in these forward-looking statements as a result of many factors including, but not limited to, our dependence on consumer awareness, acceptance, and growth of sales of our products resulting from our strategic initiatives; the impact of the execution of our business plans on our liquidity; our ability to fulfill orders on a timely basis; intense competition in the worldwide jewelry industry; the financial condition of our major customers and their willingness and ability to market our products; dependence on a limited number of distributor and retail partners in our Traditional segment; dependence on our exclusive supply agreement with Cree, Inc., for the supply of our silicon carbide, or SiC, crystals; our ability to maintain compliance with The Nasdaq Stock Market’s continued listing requirements; general economic and market conditions, including the current economic environment; quality control challenges from time to time that can result in lost revenue and harm to our brands and reputation; the potential impact of seasonality on our business; the impact of natural disasters on our operations; the pricing of precious metals, which is beyond our control; our current customers’ potential perception of us as a competitor in the finished jewelry business; the impact of significant changes in e-commerce opportunities, technology, or models; the risk of a failure of our information technology infrastructure to protect confidential information and prevent security breaches; the potential adverse effect of December 2017 U.S. tax legislation; our ability to protect our intellectual property; the potential adverse impact of negative or inaccurate social media commentary; risks of conducting business in foreign countries; the failure to evaluate, implement, and integrate strategic opportunities; possible adverse effects of governmental regulation and oversight; and the impact of anti-takeover provisions included in our charter documents, in addition to the other risks and uncertainties described in our filings with the Securities and Exchange Commission, or the SEC, including our Report on Form 10-KT for the transition period ended June 30, 2018 and subsequent reports filed with the SEC. Forward-looking statements speak only as of the date they are made. We undertake no obligation to update or revise such statements to reflect new circumstances or unanticipated events as they occur except as required by the federal securities laws, and you are urged to review and consider disclosures that we make in the reports that we file with the SEC that discuss other factors relevant to our business.